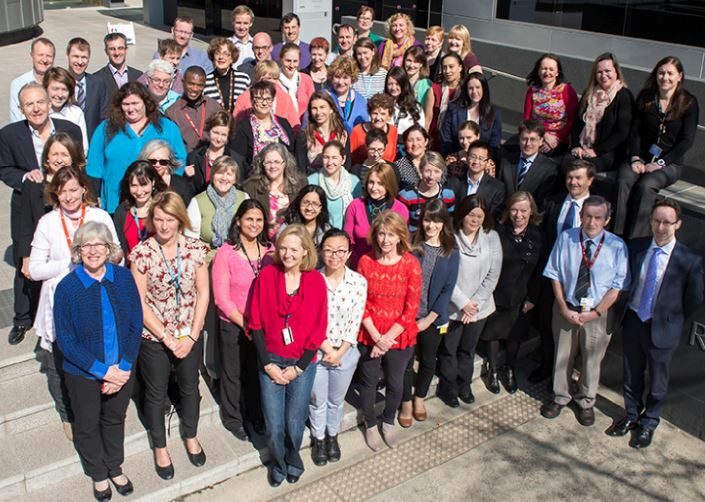 Department of Infectious Diseases group (Monash and Alfred) with Head, Prof Anton Peleg (far right), and Deputy HOD, A/Prof Denis Spelman to Anton's right), in the AMREP plaza on 1 September 2015. A key scientist in international allergy research for over 25 years, Professor Robyn O’Hehir is an academic clinician-scientist who successfully combines a strong basic research record with a continuing commitment to clinical medicine at a senior level. She is Professor and Director of Allergy, Immunology and Respiratory Medicine at the Central Clinical School, Monash University, and The Alfred hospital. 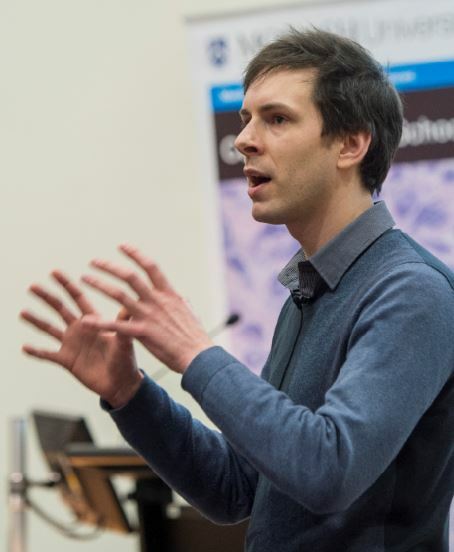 Professor O'Hehir will be speaking at the forthcoming 30 Sept Translational Research symposium hosted by Central Clinical School. See detail below. 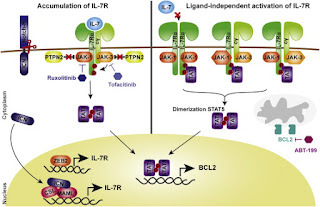 activation in T-cell acute lymphoblastic leukemia (T-ALL). Review article on T-cell acute lymphoblastic leukemia (T-ALL), an aggressive type of blood cancer that accounts for about 15% of pediatric and 25% of adult acute lymphoblastic leukemia (ALL) cases. 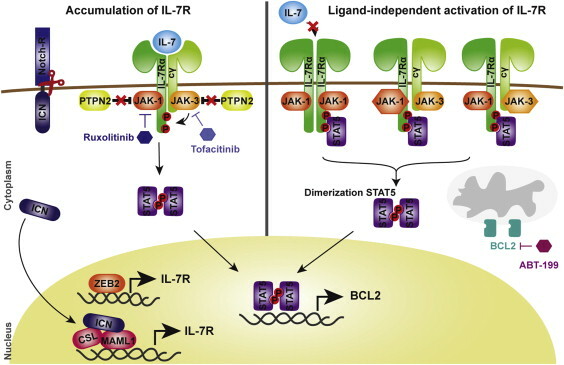 It is considered as a paradigm for the multistep nature of cancer initiation and progression. T-ALL originates from T-cell precursors at different stages of their development and is characterized by distinct and well characterized molecular genetic subtypes. Children affected by this disease respond fairly well to high-dose chemotherapy regimens. Unfortunately, the clinical response in adults remains problematic, and therapeutic options for relapsed T-ALL patients remain scarce. 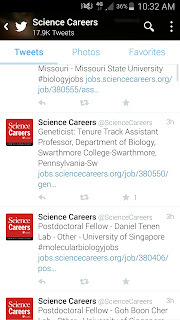 @Sciencecareers on Twitter posts international job opportunities. Good for #PhD and #EMCR. R U OK? Day is Thursday 10 Sept 2015. 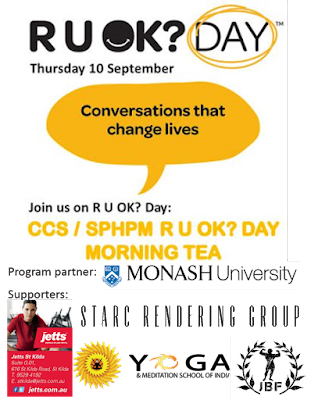 Central Clinical School and School of Public Health and Preventive Medicine, the Monash University schools based at the AMREP campus, are co-hosting a morning tea and fundraiser. 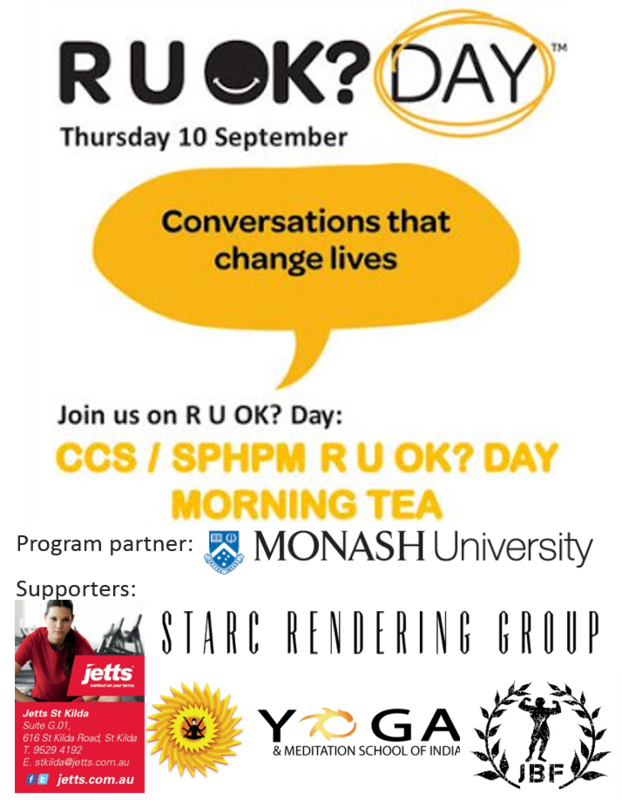 Labels: Event, fundraising, Mental Health, R U OK?